When it comes to cognitive decline, Alzheimer's disease tends to get the lion's share of attention. But it's important to remember that dementia can come in other forms — and that some of these forms may be treatable. One such form is vascular dementia, which is the second most common type. Vascular dementia is related to issues with circulation, as insufficiencies in blood supply to the brain can lead to mini-strokes and subsequent cognitive decline. The good news is that we know quite a bit about how to handle circulation issues, so it's possible to intervene and slow the progression of this type of dementia. One suggested treatment for vascular dementia is acupuncture. But until recently, there wasn't a scientific consensus about whether this approach was effective. So researchers in China decided to conduct a review study, which they published last December in the journal Neurochemistry International, to summarize the latest findings. They found that sure enough, acupuncture does seem to have beneficial effects for people suffering from vascular dementia. They also found that these effects seem to stem from acupuncture's ability to affect the body on several levels. In particular, it seems to protect cerebral neurons from oxidative stress, apoptosis (cell death), and inflammation. But it also seems to help regulate how the body metabolizes glucose and improve neurotransmitter function. It could even help keep synapses and blood vessels healthy. All of these factors play vital roles in cognitive function as well as maintaining adequate blood supply to the brain. 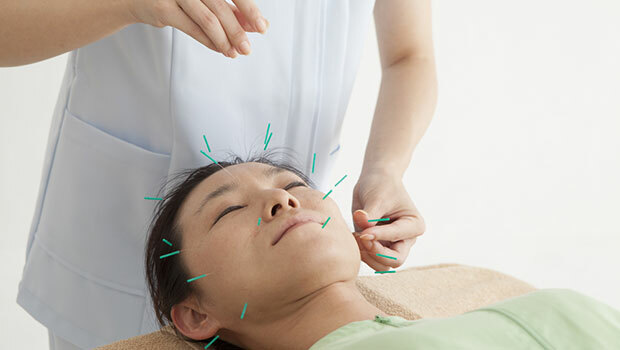 I've written before about how acupuncture can help Alzheimer's patients. But these findings indicate that it can help people with other forms of dementia as well. I think it can be a valuable tool for fighting cognitive decline, particularly when used in conjunction with other therapies, such as Advanced Memory Formula. This product contains nutrients that support nerve function as well as one that promotes healthy circulation in the brain, which is a vital component of avoiding or treating vascular dementia. And if you aren't currently suffering from vascular dementia, but want to take steps to prevent it, combining this supplement with exercise is a great way to help you maintain healthy circulation at any age. Neurochem Int. 2016 Dec 26. pii: S0197-0186(16)30255-8. doi: 10.1016/j.neuint.2016.12.001. [Epub ahead of print], Mechanisms of acupuncture on vascular dementia-A review of animal studies. Ye Y, Zhu W, Wang XR, Yang JW, Xiao LY, Liu Y, Zhang X, Liu CZ.